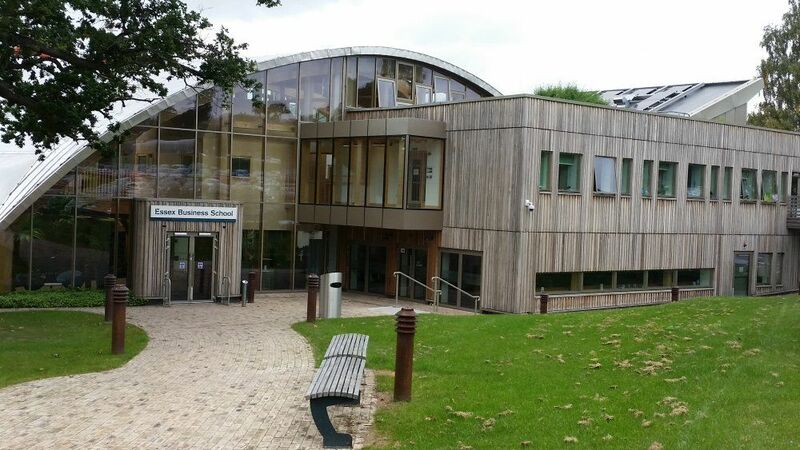 Essex Business School - the conference venue. It was designed as the wooden structure you see in order to leave as little a carbon blueprint as possible! It's very nice inside - an appealing mixture of wood motif and modern facilities. Is that the only environmentally friendly building there or are they doing it across the entire campus?